Dr. Jeffrey K. Liker is Professor of Industrial and Operations Engineering at the University of Michigan and principle of Optiprise, Inc. Dr. Liker has authored or co-authored over 75 articles and book chapters and nine books. He is author of the international best-seller, The Toyota Way: 14 Management Principles from the World's Greatest Manufacturer, McGraw-Hill, 2004 which speaks to the underlying philosophy and principles that drive Toyota's quality and efficiency-obsessed culture. The companion (with David Meier) The Toyota Way Fieldbook, McGraw Hill, 2005 details how companies can learn from the Toyota Way principles. 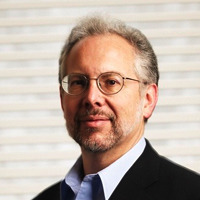 His book with Jim Morgan, The Toyota Product Development System, Productivity Press, 2006, is the first that details t Dr. Jeffrey K. Liker is Professor of Industrial and Operations Engineering at the University of Michigan and principle of Optiprise, Inc. Dr. Liker has authored or co-authored over 75 articles and book chapters and nine books. He is author of the international best-seller, The Toyota Way: 14 Management Principles from the World's Greatest Manufacturer, McGraw-Hill, 2004 which speaks to the underlying philosophy and principles that drive Toyota's quality and efficiency-obsessed culture. The companion (with David Meier) The Toyota Way Fieldbook, McGraw Hill, 2005 details how companies can learn from the Toyota Way principles. His book with Jim Morgan, The Toyota Product Development System, Productivity Press, 2006, is the first that details the product development side of Toyota. He is doing a series of books focused on each of the 4Ps. The first books are (with David Meier), Toyota Talent: Developing exceptional people the Toyota Way (May, 2007) and (with Michael Hoseus) Toyota Culture: The Heart and Soul of the Toyota Way (January, 2008). His articles and books have won eight Shingo Prizes for Research Excellence and The Toyota Way also won the 2005 Institute of Industrial Engineers Book of the Year Award and 2007 Sloan Industry Studies Book of the Year. He is a frequent keynote speaker and consultant. Recent clients include Hertz, Caterpillar, AMD, Android, Areva, Rio Tinto Mining, Tenneco Automotive, Jacksonville Naval Air Depot, US Airforce Material Command, Johnson Controls, Harley Davidson, Eaton, and Fujitsu Technical Services.